COUNTIFS function can be used when you want to count the number of cells that meet a single or multiple criteria. It returns a number that represents the number of cells that met a specified criteria in the specified range(s). 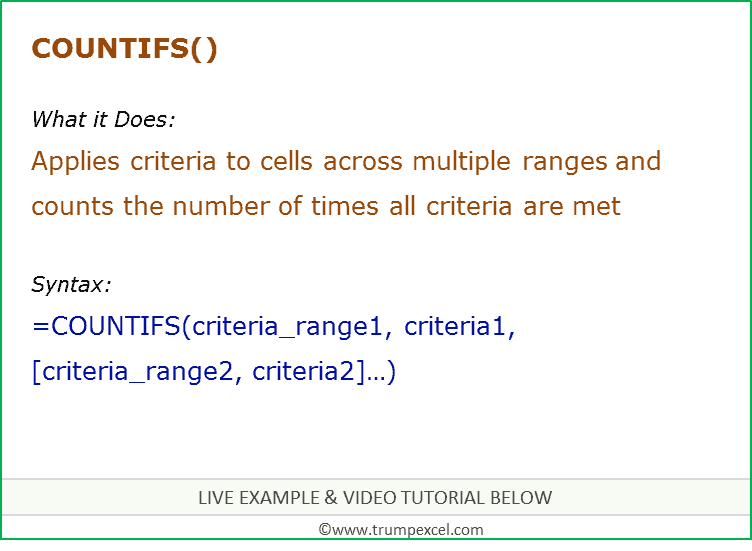 criteria_range1 – The range of cells for which you want to evaluate against criteria1. criteria1 – the criteria which you want to evaluate for criteria_range1 to determine which cells to count. [criteria_range2] – The range of cells for which you want to evaluate against criteria2. [criteria2] – the criteria which you want to evaluate for criteria_range2 to determine which cells to count. Criteria could be a number, expression, cell reference, text, or a formula. Criteria which are text or mathematical/logical symbols (such as =,+,-,/,*) should be in double quotes. Wildcard characters can be used in criteria. An asterisk matches any sequence of characters. If you want to find an actual question mark or asterisk, type a tilde (~) before the character. Criteria are case insensitive (“Hello” and “hello” are treated as same). Cells in counted only when all the conditions are met. Up to 127 pairs to criteria and criteria range are allowed. 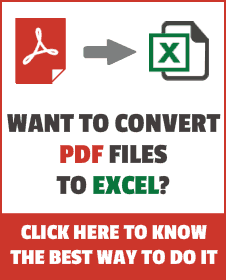 How to Count Cells that Contain Text Strings.